Many are familiar with the phrase “You only have one chance to make a first impression.” When it comes to a first date, many make an effort to appear and behave their best to make a good first impression and to be attractive to the other person. But there is one piece of the puzzle that most tend to neglect due to their lack of awareness and knowledge – their body language. The messages from your body are a lot stronger than how you look, how you speak, and what you say. 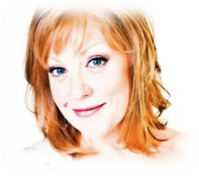 In this interview, I asked body language coach Kerstin O’Shields to share some useful information on how to use body language to communicate with others for optimum results and to have a more positive dating experience. language, you can create influence without saying a word. Why is body language such an important component of the non-verbal communication during a first date? The body and the brain are hardwired together, and what we are thinking shows up in our body language. It is important to be aware of what we communicate through our body. As body language is 80% of our communication, it changes and solidifies the words we speak. This awareness can help us influence the success of a date, or any other human interaction. For example, when you want to get a certain reaction from the person you are dating, reflect out what you want to be reflected back to you. Show up with the purpose of creating an enjoyable experience for both of you. That confidence and fun that you will be reflecting out in your body language will change the mood of the interaction, and will encourage the same response from the person you are with. What aspects of body language can contribute to the success of the first date? Posture: When it comes to making a first impression, posture is where you communicate your confidence the most. We respond emotionally to what we physically see. A tall posture exudes that you are a person who is comfortable and confident in who you are. An open torso also exudes trust and an openness to get to know others. For a confident posture, you want to be tall from your spine and your torso open with your shoulder back and relaxed. Let your hands hang nicely on both sides of your body showing you are relaxed and easy to be around. Symmetry: A good posture also shows your body in its best symmetry. Symmetry is beauty; as humans we are attracted to symmetry in nature, art, and in other people. A good posture shows your body in its most symmetrical form. So, when you walk and sit with good posture, you put yourself in your most attractive state. On the other hand, if you are shrinking down in your posture, your chest sinks, and your whole body loses its symmetry. You make your body go into a “blob” state, and we can no longer distinguish your symmetrical parts. This can make your body appear up to 10 lb heavier…no one wants that on a first date! Physical appearance: Hair, clothing, etc., which I call “tribe identifiers”, are important for a first impression. Show up with the type of clothing and style that is authentic to you and will attract the kind of person who is right for you. For example, if you are a woman who never wears heels but you show up on a first date in heels - trying to impress someone, you will be uncomfortable. You will exude the awkward physical feelings of being unstable in your 3-inch pumps. This will communicate to others, through your body language, that you are feeling awkward just being yourself, making the whole date feel uneasy. You are not representing who you truly are, and you will not be attracting someone you really want as a life partner. A man in your “tribe” finds a woman in flats very attractive. The better plan is to show up with the best version of yourself. Dress up in something nice that lets people see the genuine you, not a perfect you. Relax: Last but not least, remember to breathe, smile, and be a good listener. Let the other person feel that you are there to communicate with them. Show up with the response that you want to get, like smiling and enjoying yourself, because the person in front of you will mirror it back to you. What is the key to conveying a good body language? Remember that body language is a mindset. Rather than thinking that you are going on a date, which can be stressful, think of it as a time to make a connection with someone else. You can either walk away with a new romance or a great new friend. When you think of it this way, it takes the pressure off, it is easier to relax and reflect out the greatness of who you truly are. I tried to be curious. I am a very curious person usually. So on Friday, July 18th this year, I attended the first day of the Landmark Forum in Seattle; a three-day weekend seminar from 9am to 10pm. The leader, a charismatic ex-actress, started the day by promising the 200 attendees that by the end of the seminar they will be able live an authentic, happy, and successful life. Three days of enlightenment. A quick fix for life. “There is what you know, there is what you know that you don’t know, and there is what you don’t know that you don’t know,” the leader stated at the opening of the day. 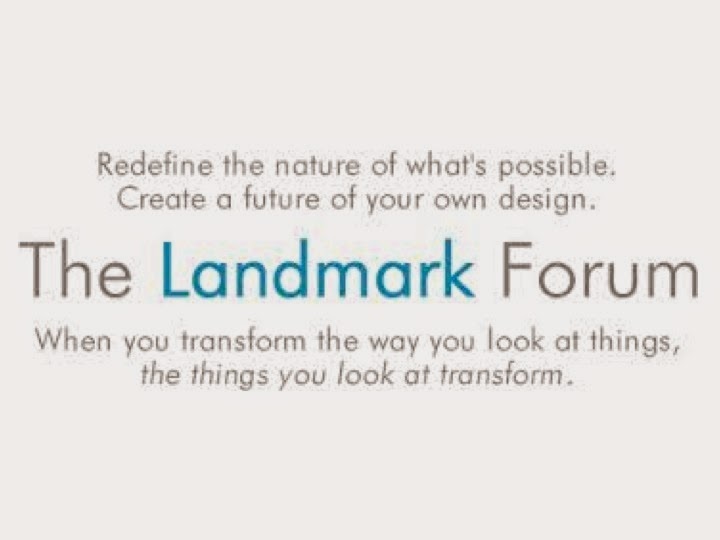 The Landmark Forum is where people learn to be aware of the latter. Apparently knowing what you don’t know that you don’t know is the key to an authentic life.I tried to be curious. 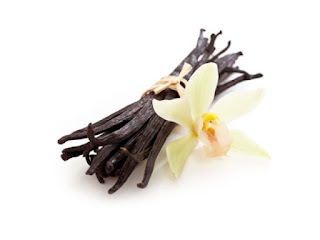 If you love to bake and make deserts, you probably know how essential the use of good vanilla extract is to create an outstanding dish. Some recipes have a very basic list of ingredients; and what most affects the results is the quality of the ingredients. Take for example the classic recipe for shortbread; all it takes is four ingredients: flour, sugar, butter, and vanilla extract. The quality of the products that you use will affect the quality of your cookies. As far as I’m concerned, vanilla extract is the single most important ingredient that makes the largest difference in the flavor of many deserts. White coffee is a Yemenite coffee where the coffee beans are slightly roasted. It is mixed with roasted grains such as corn or wheat, sesame, and a Yemenite spice mix called Coffee Hawaij (to differentiate from Soup Hawaij I mentioned in my Yemenite Chicken Soup post).Since accuracy is not really important in the Yemenite culture, but rather self-expression, there are many white coffee and Hawaij recipes with different ingredients and portions. There is no such thing as a wrong recipe. My advice is to play with the ingredients until you find what you like. I would like to thank my dear aunt Rivka for helping me with this recipe.